Do you recall this image? This is Fleming Villa in the Goldeneye Hotel & Resort, Jamaica. I had published a post about it here. There is something about the colors of this picture that made me think about my dining room which has been undergoing a transformation. This is the direction I was planning to go in - I was considering either pops of teal/aqua or deep orange. The colors in the picture above are cool and warm and work harmoniously with each other to give one a sense of tranquility to create an atmosphere for relaxation as well as a sense of fun and an energy which would be perfect for a space in which one can entertain. 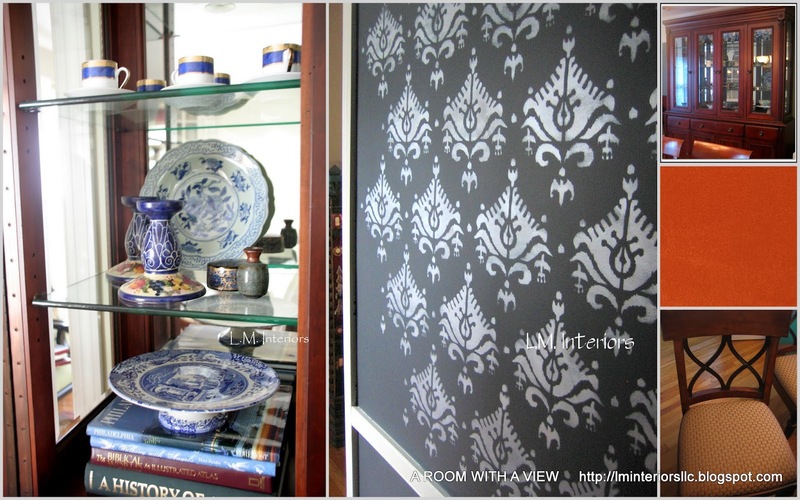 The dark walls are in this rich color. I had it matched in Behr's Premium Ultra Plus. The furniture in my dining room is dark therefore I went dark with the walls so that the furniture would blend in more. I love the pops of aqua and deep orange hues in Fleming Villa. Last week, while looking for fabric for other projects, I came across this stunning deep orange fabric on www.fabric.com. 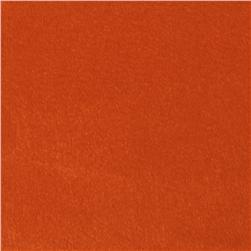 It is a microsuede called Vintage Suede Pumpkin. These are my dining room chairs which require reupholstery and I am leaning toward the orange fabric. The chairs were purchased from Ethan Allen about 10 years ago and the fabric was from Calico Corners. I do have a growing collection of blue-and-white pieces which ties in to the shades of cobalt in they sky as the sun sets in the picture. I have to work in the aqua and some of the gold tones. This color palette has worked its way into my dining room with perfect timing and I am so excited about it so far. Once again, the hotel room.. I know I could make it work.